Other products for "Haikyu!!" 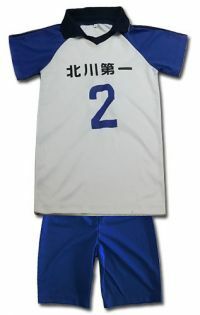 in "Apparel"
Other products for "Haikyu!!" in "Accessories"
Other products for "Haikyu!!" in "Bags"
Other products for "Haikyu!!" in "Blu-Ray"
Other products for "Haikyu!!" in "Books"
Other products for "Haikyu!!" in "Character Goods"
Other products for "Haikyu!!" in "DVDs"
Other products for "Haikyu!!" in "Key Chains"
Other products for "Haikyu!!" in "Plush"
Other products for "Haikyu!!" in "Wall Art"